Silk screen printing is such a fun task and it is growing as a business day by day because people of this generation believe in customized products and aim to make their loved ones feel special by gifting them specialized gift items. As fun and profitable silk screen printing is, the supplies that are used for it can be quite expensive. Finding good quality supplies at convenient prices can be hard. 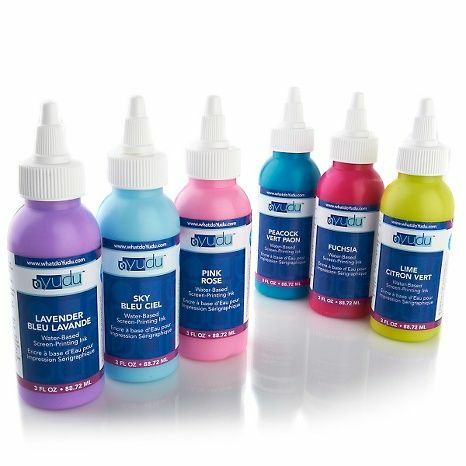 Here is a list of the cheapest silk screen printing supplies source in the world. Amazon is a very popular retail site where you can buy good quality stuff at one the cheapest prices. You can easily find cheap silk screen supplies in any colour and in any size from this site and get them delivered to your door step no matter where you live, without any hassle. You can easily buy 8 ounces of emulsion from Amazon at a cheap price of eight dollars and a few cents. Furthermore, you will find a 2-inch tape roll for screen printing at a convenient price of $7.50 which will turn in $13.50 if you add the delivery charges. There are some items that offer free shipping like the 8×12 silk screen frame which you can get for only $13.50, you can get a pack of 6 aluminium silk screen frames for just 98 dollars and a few dollars. Moreover, other supplies like the dryer, UV exposure unit can be found easily at cheap prices. You can even buy a complete beginner silk screen printing kit at just $97. ScreenPrinting.com is a site that is dedicated to teaching courses regarding the skill of screen printing. They have their own online shop as well from where you can buy silk screen supplies. The supplies on this site are a little pricey as compared to Amazon.com but, right now they have a sale going on so you can get around 20% off on each equipment. From this site, you can purchase a complete professional silk screen printing kit at a discounted price of $199.99 which was originally being sold at the price of $249.99. Furthermore, you can buy a whole pack of 6 silk screen frames at just 140 dollars and a few cents. You will also find many other silk screen supplies like the tape, stencil, ink, emulsion etc on discounted prices at ScreenPrinting.com. eBay is another successful and popular online retail site which can deliver your bought items to your doorstep without any hassle. Just like Amazon.com, you can buy exceptional quality silk screen supplies at the cheapest rates. The best part is that you will find free shipping offers on almost every product. You can buy a pack of three reusable silk screen printing stencils at a price of just $27 and a few cents which will be free of any shipping costs. You will find many other silk screen supplies in new and good conditions in prices that fall under the same category i.e. cheap. Screening supplies store is an online store from where you can buy your high-quality silk screen printing supplies at the cheapest rates. They have introduced over a hundred supplies and products to make silk screen printing as easy and efficient as it can get for everyone. From cutting edge supplies to the common supplies like tapes of all sizes, stencils, imaging papers, mesh, scoopers and squeegees, adhesives, all sorts of ink and ink removers, belts, blades, bulbs, and dryers etc. this site supplies every product that is associated with silk screen printing at the cheapest prices.